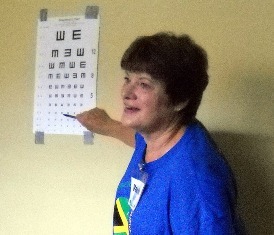 Valorie Tresner was a first time volunteer for iCare, and has brought wonderful talent to the team. Valorie tells us she volunteered because, “I have worn glasses since I was nine years old. I began wearing contacts in 1961 when I was just 13 years old. My mother worked for the optometrist our family went to and he actually gave me my first pair because my vision was so impaired. When I first put the contacts in I realized that you could actually see leaves on trees from a distance, not just green stuff. At 45 years of age, because of an unusual situation with a small cataract that was sitting such that light reflected off from it I went blind in my right eye. So cataract surgery was done to restore my vision. While on a business trip out-of-state I had lattice wall detachment from the retina and it was hemorrhaging. I was advised to immediately find an ophthalmologist who could do laser surgery to stop the bleeding. I was fortunate that the City of Redding, CA had three outstanding eye centers and was able to be successfully treated with no further complications. 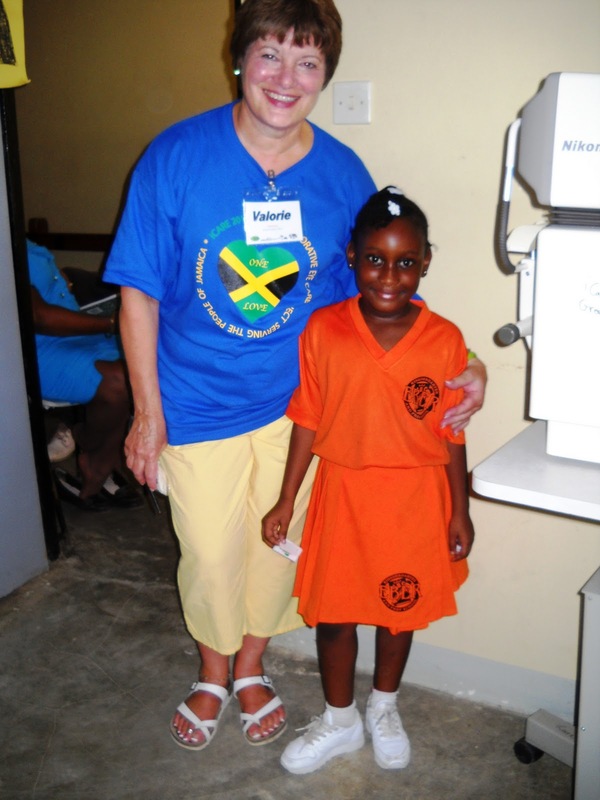 At age 58 I had my second cataract surgery. I know what it is to live with real eye problems and to not be able to see much of anything without contact lenses and/or glasses. I had always taken the fact that good eye care is readily available in the US, and insurance often pays for a good portion of that eye care. Previous post Next post Slideshow!